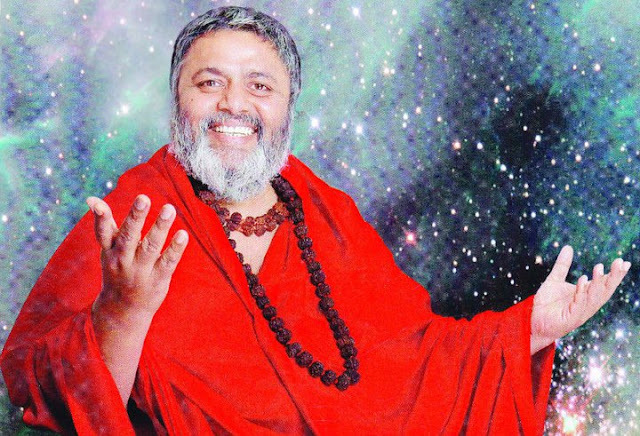 Avdhoot Baba Shivanandji says that the period of 2012 is the ShivYog Shree Vidya Sadhna period. This is the time to increase your vibrations, the time to increase your spiritual growth. This indeed, is that exclusive moment (of the unique planetary position) in “Kalyug” which has come after many, many millenniums, a moment in which by doing even a little bit of meditation you can achieve the pinnacle (zenith) of spiritual growth. Therefore, it is advisable that the sadhaks consider this period as the Ascension Period. Babajee wants to pray for all of you to Lord Shiva, so that all your lives are healed completely and are full of happiness. Babajee has now embarked on the sacred mission to give everyone, atleast the first initiations of Lord Mahamrityunjay and the Shree Vidya, by virtue of which you will be able to rapidly advance in your Sadhna. Day and night without a break, Babajee is reaching out to each one of you, through free of charge Satsangs and Shivirs being organised back to back everywhere possible. He is doing this so that everyone can reap the fruits of the “tapa” done by the Siddhas. Thereafter, in April 2012, Babajee will go into Seclusion as he had already mentioned sometime ago. In April 2012 the last shivir will be held. Babajee will no longer be amongst us physically since he will be in meditation merged with Shiva and Shakti. Therefore, whoever wants to learn the Shiv Yog Shree Vidya Sadhna, this is the golden opportunity, at your doorstep, to receive His Grace. Henceforth, no one knows for how long Babajee will remain in Sadhna. He will be doing the “tapa”, praying for the happiness and wellbeing for humanity at large. It is the Divine Will that will bring Babajee back amongst all of us, once again, to give us more and more of Grace of the Shree Vidya Shiv Yog Sadhna. For people new to ShivYog or those visiting for first time, following are the TV schedules for watching and receiving the grace of Babaji. God & Guru know the Best ! Guru is our link to God. Babaji has always blessed us , has always been with us and will always guide us. We have but to call him. .
गुर्वेछ्छा वरीयसी ! चरणम्‌ शरणम्‌‍ गुरुदेवा !! jacob bhaiya can u gimmie ur email id? babaji is always with us everytime.physically doesn't matter.